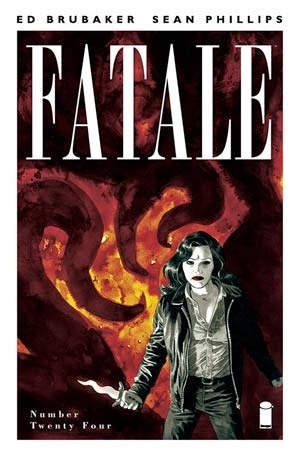 Fatale #24 - $4.99 - And now the end is...here. Ed Brubaker and Sean Phillips Lovecraftian horror meets noir masterpiece is coming to an end, and we couldn't be sadder about it. This was one of Kyle's gateway comics into Image's new creative renaissance and it was the perfect next step from their work in the Criminal arc "Last of the Innocent". This is a great opportunity to see two masters at work and it will whet your appetite for The Fade Out, their next collaboration, in August. 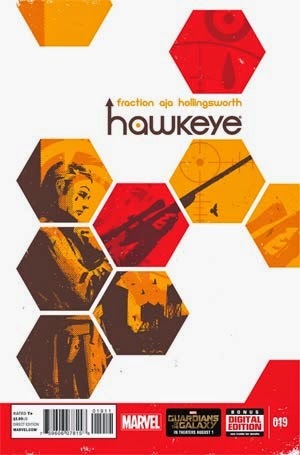 Hawkeye #19 - $3.99 - Can you believe it? Another issue of Hawkeye is actually coming out? And this one is the much talked about sign language issue. Matt Fraction worked with a group called Signing Time to pull together the story of what happens after Clint's hearing has been impacted from the injuries sustained the last time we saw him. 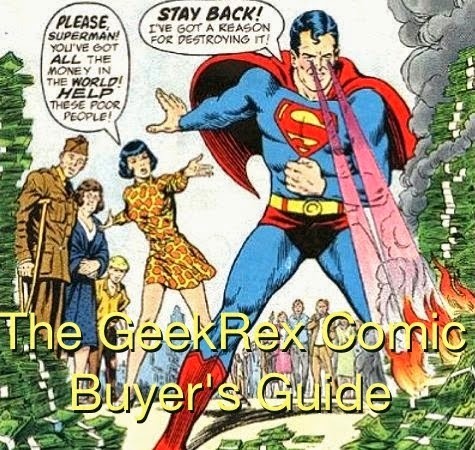 There's no text in the word balloons, and body language and signing will be relied to get the story beats across. This is challenging, exciting comics, and it's this kind of endeavor that sets Hawkeye apart from the rest of the Big Two pack. 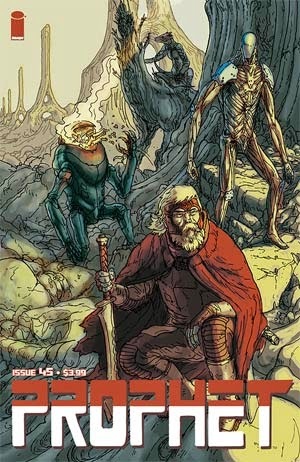 Prophet #45 - $3.99 - Sure, Guardians of the Galaxy is on everyone's mind right now, but Brandon Graham's Prophet has been, without question, the premiere space epic in comics, mixing Kirby outlandishness with Moebius-like landscapes and outerworld adventure. This was another of the three gateway Image titles for Kyle, and guess what? It's ending with this issue, as well. After tomorrow, Kyle's re-read of Prophet begins. Join him. 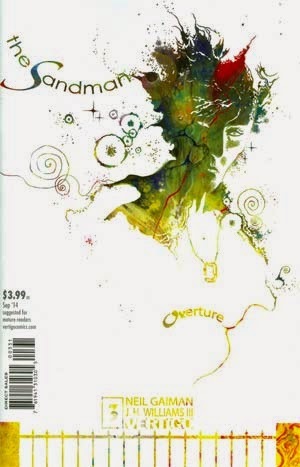 Sandman Overture #3 - $3.99 - Gaiman, Williams, Morpheus. Come on. This is essential. The release gaps have made it a little tougher to keep up with the goings-on of each issue, but once you crack open the cover..all those qualms vanish away into The Endless. Bryan Lee O'Malley made his name with the Scott Pilgrim graphic novels, an epic about a lost young manchild slowly growing up as he deals with some... unique relationship issues. Scott Pilgrim cannily used popular culture as both the framework for the story and the lens through which Scott viewed his world, turning the books' central conceit into a series of 'boss battles' Scott had to fight as he grew up. 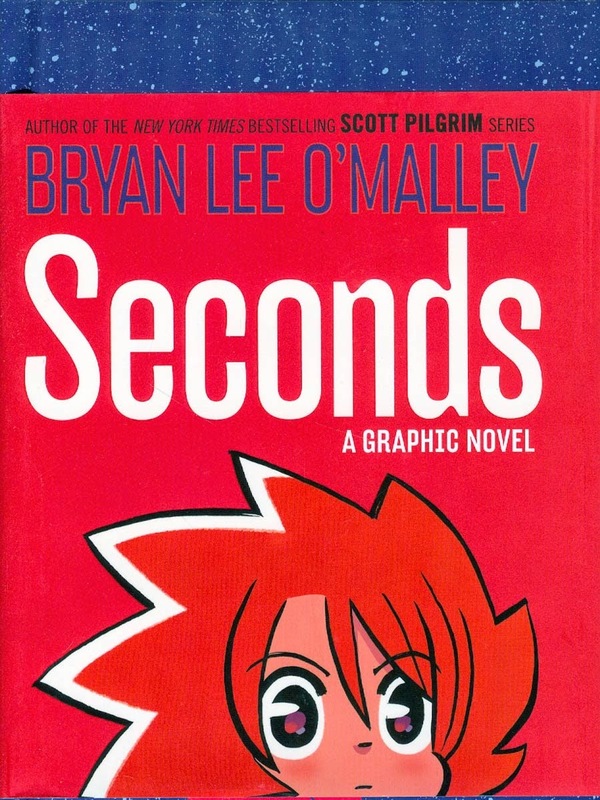 His follow-up graphic novel, Seconds, is similar, using high-concept genre tropes (time travel, here) to offer its lead an escape - but expose the deeper traps she's built for herself. Like Scott, Seconds protagonist Katie is stuck in a rut. She opened and ran the kitchen of one of the hottest new restaurants in town, but her financial mistakes and lack of vision have locked her out of management (and its money). As she watched friends move on to bigger and better things, she felt trapped by a series of bad decisions and a future that was looking increasingly bleak. So when she's given the opportunity to go back and time and fix some of those mistakes, she jumps on it - regardless of the warnings of dire consequences should she continue to abuse this power. Like the recently-discussed OGN Interesting Drug and last year's underrated film About Time, Seconds is, at heart, a story about the fantasy of 'fixing' your life, and the hard realization that, ultimately, it's best to live the life you have to the fullest than worry about the ones you don't. But O'Malley has a vivid imagination, and his lush cartoons and gorgeous design makes Seconds a vital read. Ballantine Books' gorgeous hardcover, released in mid-July, is a must-have for genre fans looking for a great graphic novel.